Scott and Mindy do such an amazing job covering so many great approaches to financial freedom and excellence, starting from so many different vantage points, methodologies, investment and cost cutting tactics, it's such a breath of fresh air for the world of financial podcasts! For those who have money… or want more of it! 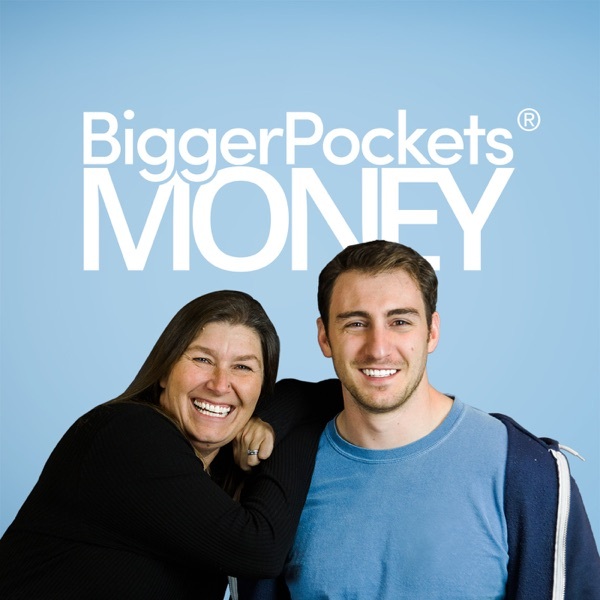 Join Mindy Jensen and Scott Trench (from BiggerPockets.com) weekly for the BiggerPockets Money Podcast. Each week, financial experts Mindy and Scott interview unique and powerful thought leaders about how to earn more, keep more, spend smarter, and grow wealth. Liz has always been a frugal gal and self-proclaimed personal finance nerd. Discovering The Wealthy Barber as a teen cemented her course down the financial independence path, even if there wasn’t a formal name for it at that time. And it’s a good thing for her family that she was so frugal - a botched surgery for her husband turned a routine procedure into a nightmare that involved a coma, a month in the hospital and years of recovery. Without her financial savvy, her family could have been financially ruined! Now, 7 years later, she has paid off her house and replenished her emergency fund using a Tiered Emergency fund that allows her maximum liquidity while also maximizing her earnings on those funds. Her unique plan combines online savings with CD ladders, savings bonds and money market funds. Liz explains just how important it is to her family to have the peace of mind a paid-off mortgage can provide, and how planning for unforeseen events is truly the best course of action. Learning financial independence through the book "The Tightwad Gazette"
J Grayson grew up poor. But with food on the table every night, he didn’t realize it. Then his sister tragically passed away from brain cancer, financially ruining the family. J fell into a pattern: skipping school, drinking, and doing drugs. A few years of this and he realized he needed to make a change. J joined the military when he turned 18 and went to boot camp before his high school graduation ceremony. The military is where his poor money habits really took shape. Living on base means housing and food is covered, so he spent his income on anything he wanted—at one point having FIVE CARS despite only being able to drive one at a time. He stayed in the military for five years and knew enough to go to college when he got out. What the military didn’t cover, the Yellow Ribbon Program did, so he left college debt-free (at least in terms of student loans). However, J did manage to rack up $30,000 in random debt by the end of college. J eventually settled into a government job. By year two, he had discovered the concept of financial freedom. This week’s episode focuses on hacking—house hacking, GI bill hacking, per diem hacking—taking these benefits and using them in ways that are advantageous. If you’re a member of the military, a government employee, or even just an employee who travels regularly, this episode is for you! And if you know someone who fits that bill, share this episode with them. Steven Donovan graduated from high school and went to college—because that’s what you do. He graduated from college but got cold feet when it came time to get a “real job.” So, he bounced around random jobs with no plan and no focus. Despite his degree in finance and about $60,000 in student loan and credit card debt, he returned to the golf course that he’d been working at throughout high school and college. He also regularly played poker at a local casino, all while deferring and avoiding making any payments on his debt. Eventually he got his first "big boy job" at a bank; however, he still wasn't making much headway on his debt. In fact, he just kept adding to it. He ended up buying a Mercedes, quitting his job, and moving to Florida to be near his long-distance girlfriend. But Florida didn’t work out, so he moved back home. He went back to the golf course until he found another job at a bank, moved into the city, and sold the Mercedes—at a loss, of course. Once he got married, he began to tackle his debt. Slowly at first, bringing lunch one day a week, then two, and eliminating takeout coffee. He started "frugaling" his way out of debt, adopting a rock bottom budget in order to finally rid himself of the burden. Steven paid off his debt in five years, in fact, while house hacking a Chicago triplex and renting his wife’s house in Florida. They’re now debt-free, and they achieved it in a completely repeatable way, which is what makes this episode so great! Paula Pant has seen it all and learned a thing or two... thousand. Today, we sit down and chat with her about, well, everything. Paula shares her habits, her take on journaling, and her morning routine. We delve into her fascinating backstory with money and her foresight to start investing in herself right out of college—when she was only making $21,000/year! Paula hasn't stopped since, and her choices have allowed her to lead a pretty spectacular life. For one thing, she discovered freelancing, and learned that it's possible to generate income outside a W-2 position. Freelancing led to entrepreneurship in the form of a marketing agency, which led to a six-figure income. But true happiness came when she stepped back from the agency to focus full time on her passion, her website, which she dubbed AffordAnything.com. No topic is off limits in this candid chat with Paula. We even talk about her now-famous podcast episode where her guest, personal finance guru Suze Orman, had a lot of (not so great) things to say about the FIRE movement. Jacqueline Burch got married and did what all newlyweds do, spent time with her husband. They continued down the road of "things you’re supposed to do"—had dinners out with friends, purchased a home, and had a baby! After her first son was born, she returned to work and he went to daycare. She knew she needed to invest for her future, but wasn’t quite sure how to do it. Aimlessly investing didn’t yield the results she wanted (shocker!) and upon realizing she was pregnant again, Jacqueline decided to get her finances in order. She and her husband cut all extraneous spending, paid off their outstanding debt, and even found a way to reduce childcare from $77/day for one child to $65/day for two. Jacqueline became an expert is optimizing her family’s finances —and a master at turning “we can’t afford that” into creative ways to accomplish anything. Her ingenuity includes teaching ski lessons as a way to afford skiing for her family of six, rehabbing a short sale house to live in, and continuing to live in a 932-square-foot house even after her fourth child was born. Jacqueline absolutely embodies the mantra "when you have the desire, you find a way, and when you don’t, you find an excuse.” This woman makes no excuses and always finds a way. If you are looking for a repeatable path to financial freedom, this is a can’t-miss episode. Zach Gautier oversees academic and college counseling at a Denver-area high school. He reached out to us, and proposed a show to share creative ways to fund college tuition—and blew us away with the depth of his knowledge! This episode is for anyone who has children who have not yet graduated from college. And if you know someone else who can benefit from this information, please share it with them, too! This show includes tips that apply to kids of every age, from elementary school to middle school to high school students. We cover multiple ways to reduce higher education costs, such as transfer credits, AP courses, and CLEP tests, along with early college programs and dual credit options. We also discuss work-based scholarships and military options, as well as preparation for high school that starts in grade school. Zach shares his advice on taking the ACTs or SATs and also ways to decide which one to take (and whether to retake if you get a low score). This episode can help shave tens of thousands of dollars off your child’s college expenses! One of the most common misconceptions of financial independence is that you can’t do it with kids. But Jordan Klint doesn’t listen to what other people say. He became financially independent with kids—and not just one or two of them. He did so with five children. Oh, and did I mention he’s only 33 years old? Jordan and his wife started flipping houses soon after they began dating and haven’t stopped. They’re now teaching their five children the value of investing, as well as how to be landlords and make repairs. They do this all while home-schooling them and continuing to find and purchase new properties. Jordan also shares how he was prepared to quit his job outright but his employer begged him to stay for special projects, allowing him to continue to work as an engineer. It's something he loves but is now doing on his own terms. Jordan’s story is 100 percent repeatable! In this episode, he lays it out in such a way that you can both be inspired and apply his strategies to your own life. Anna Li moved to America from Uzbekistan when she was 22. On today’s episode, she shares the opportunities she’s been presented with—and taken advantage of—from an opportunity to learn at the first non-government university in Uzbekistan that partnered with an American College (essentially allowing her to earn the equivalent of an American degree) to picking up and moving to a new country to start a new life. Though she was a financial analyst in Uzbekistan, the language barrier prevented her from getting a job in her field in her new country. Newly married, she took a job at a shoe store while her husband delivered pizzas. Finally, she was able to secure a position in finance with Vanguard. It took five years to work her way up from analyst to team lead. She switched firms and is now a director for an international pharmaceutical company. After every opportunity, she thought, “I’ve made it.” But instead of sitting there comfortably, she continued to pursue more—a better job, a promotion, a transfer. When her husband’s last company closed, instead of finding a new job, they took this as an opportunity to begin investing in real estate. Her job offered a transfer to Switzerland—a three-year stint that came with a hefty raise and almost all expenses paid by the company, allowing them to ramp up their savings to pay for more houses. Plus, her husband flips long distance with her dad, another source of revenue. Anna also shares a few unique tips for paying for child care and college—and you’re going to want to stick around for those! This episode is packed with information, and Anna’s journey will inspire you. Why she borrowed $3,000 from parents and moved to U.S.
BiggerPockets: An argument about should I pay off my mortgage or not? Gino Barbaro was a chef, working hard every day. He made good money and had no debt, but never seemed to be able to save more than 10%. He started dabbling in real estate investing, and after closing his fourth deal worth $11 million, he decided he wanted to leave the restaurant business for good. He retired from his restaurant two years ago. While he could havelived off the passive income from it, he wanted to focus on his passion—real estate. After 25 years in the restaurant business, he had created just one restaurant, but in five years of real estate investing, he’s accumulated more than 1,000 units. Gino shares how his net worth has increased AFTER retirement—and has no plans to slow down. If you’re thinking big or want to be inspired to think big, Gino’s story is a can’t-miss episode. Click here to listen on iTunes. Scott queued up the latest Tim Ferriss podcast episode. He heard a story about how a guy and his family lived on around $25K a year. The guy was from Colorado and called himself Mr. Money Mustache. And just like that, Scott's life was transformed. Turns out, they had a LOT of room in their budget to cut back. Once they did, it took them less than one year to hit their financial independence number. They're now able to retire (if they so choose)! A little over halfway into BiggerPockets Money Podcast episode 55, Bryce dropped a bombshell: “We had three years of runway before we actually pulled the trigger.” What he meant is that they tested their portfolio for three years before quitting their jobs. Bryce saw firsthand how it would work—and more importantly that it could work—and it gave him and Kristy the peace of mind they needed to retire early and travel the world. We moved onto the next topic rather quickly, but this is something we couldn’t leave alone. So we brought Kristy and Bryce back to dive into this topic, one that can help our listeners who may be on the fence about early retirement see that this truly works. Bryce goes deep into details of their investments—and how he reviewed and reallocated every year for optimal performance. If you’re looking for additional reassurance that early retirement is possible, this episode is what you’ve been looking for. Kristy Shen grew up poor. Knowing her parents couldn’t help her financially, she gave up her dreams of being a writer, and went to school to make big bucks as a software developer. She even graduated on the five-year program with an internship to limit her student debt and increase her chances of getting a job after graduation. That gamble paid off and she was rewarded with a high stress job requiring her to be on call 24 hours a day. After seeing that same job stress almost kill a co-worker, she re-evaluated her own health issues, decided this path was ridiculous, and set out to make a change. Kristy and Bryce share their journey through saving up enough to leave their jobs, the actual quitting process (it’s not as easy as you think) and into one of the worst ‘first years of early retirement’ - an oil crisis that sent their portfolio plummeting. Clever tricks including their Yield Shield and Cash Cushion got them through their tumultuous first year, and ultimately proved that this DOES work, and you CAN retire early to travel the world. If you're yearning for another option outside the traditional career path and wish you had the time and resources to see all of the faraway places on your list, tune into this episode—and get inspired. Preparing For Retirement By Reducing Taxable Income & Saving More. In today’s episode, we chat with Eric Brotman, CEO of BFG Financial Advisors, who discusses his top 6 ways to reduce taxable income. Eric dives deep into each of these 6 methods, taking time to explain the ins and outs of each one and sharing how to maximize their benefits—both now and for your future. It’s a new year, and “get my finances in order” is one of the most common resolutions people make. This episode will give you a leg up on the steps you need to take to make this happen in 2019. His definition of the term "retirement"
Today, Scott and Mindy go guest-less to recap and review the things they’ve learned over the first year of podcasting. Topping the list—and surprising no one—is tracking your spending. But we did learn some new things this year too, like how money dates are a great way to bring your spouse on board. Looking for change your financial situation in 2019? THIS is the episode that can start you down the path to financial freedom. Roger Whitney learned early on that your life doesn’t always cooperate with your plans. The passing of his mother - who had always worked hard and saved for ‘later’ made him realize that ‘later’ doesn’t always happen. So he set out to create a life he loves - and NEVER wants to retire from. But first, he made a bunch of money mistakes. His free-wheeling 20’s gave way to his more responsible 30’s, where he cleaned up his debt and got serious about his finances. Now he’s living his best life, and shares tips for having the conversation with your partner to allow you to live your best life, too. Carlos Fuego is an emergency room doctor with a superpower—the ability to realize that money doesn’t buy happiness and family time is far more important than the status of being a doctor. He realized that his kids viewed him as a roommate and his wife resented that she had to run the household while he was working, so he took a step back, figured out what truly mattered, and pursued that, instead. Carlos is now living his best life, practicing the amount of medicine he wants to, when he wants to, and leaving in time to be home with the kids and help his wife run the household so she can live her best life too. Carlos shares how to figure out what you really want in life, and the changes he made that brought him closer to his family, and happier than ever. Patrice Washington was flying high in 2006, the multi-million dollar real estate company she had started with her husband was practically printing money. But 2007/2008 came, and things went south fast. A high-risk pregnancy finally pushed her over the financial edge - she came out of the hospital with a healthy baby, but massive hospital bills after her insurance company cancelled her policy mid-stay. Patrice and her husband did anything and everything they could to avoid bankruptcy, a mentor told them “You can’t nickel-and-dime your way out of $2 million in debt.” Bankruptcy wiped out all debts - wrecking their credit but allowing them to start over fresh. Fast forward a few years, and now Patrice is America’s Money Maven, teaching others how to get their financial house in order to lead their best, most satisfying lives. Bankruptcy doesn’t define you, and this episode is an excellent example for anyone starting over. Hari Mix figured out money in grad school and started saving for his future before he graduated. He became an assistant professor at Santa Clara University—and then, his mother was diagnosed with terminal cancer and his whole focus shifted. Today, Hari shares his experiences with his mother’s passing and how discussing it before she died made it easier for him to manage her estate afterwards. He shares some REALLY great tips for ways to handle an estate, including having all your documents in order and having a will. This episode gets pretty deep into topics that no one ever wants to think about, but that everyone will have to deal with, both with their parents and for their children. Having a will is a great first step, but there are lots of other things you can do to ease the financial transfer burden—and things you need to know before making any moves. The more prepared you are, the easier this process will be during one of the most difficult times of your life. If you’re in a position to inherit wealth from a parent or transfer wealth to heirs upon death, this is an episode you cannot miss. Anthony Ongaro had a habit. Every time he had a bad day, every time life wasn’t amazing, he opened up his online shopping site, and One-Click purchased something. Anything. It didn’t matter. He didn’t need it, it didn’t matter what it was, but the act of purchasing made him feel better. Until he noticed that he was missing family events because he couldn’t afford the tickets, yet almost every day there was a box on his doorstep. He implemented a complete shopping ban - and discovered that at first, it was similar to cutting out sugar. He was grumpy and in a very bad mood. But after the initial shock, he found that he didn’t miss the stuff - in fact he was inspired to clear the clutter, remove the distractions from his life, so that he could live his best life. Are you feeling overwhelmed by your ‘stuff’? This episode can give you the direction you need to get started. Jim Wang has been sharing his views on money for more than 14 years—more than enough to earn him the title of Great Uncle of Personal Finance Blogging. And he’s learned a LOT about money in those 14 years. Jim also shares how his childhood shaped his views about money, his discovery that his day job wasn’t his true destiny, and how his frugality gave him enough confidence to take the leap into entrepreneurship. Looking for a some help cutting a bit more from your budget? This is the episode you need to listen to—twice! This week’s episode features Sam Dogen from Financial Samurai. After one month working for a top investment firm, Sam knew 70-hour workweeks were not the life he wanted. So Sam took action immediately. Instead of fancy cars and dinners out, Sam shared a studio apartment with a friend and socked away HUGE sums of money—50% of mediocre starting salary. He invested in real estate (shocker), stocks, and bonds—and continued his massive savings rate. Taking advantage of the economic downturn, Sam engineered his layoff and an enormous payout. Sam now lives the life he wants, having set up multiple passive income streams during his working years. He spends time with his family every day and embodies the concept of financially free. He no longer trades his time for money; his money just simply reproduces itself and does all the heavy lifting. This episode is a great look at how a little upfront discomfort can lead the your best life. Matt Giovanisci is a serial entrepreneur. He decided early on that “working for the man” was not in his cards, and set out to never have to do that again, creating side hustles that generated income so he could be his own boss and do everything on his schedule and his terms. But entrepreneurship isn’t always the pie-in-the-sky fairy tale that it is sometimes made out to be. On today’s episode, we talk to Matt about the successes and failures he’s had as an entrepreneur - from the pool/spa care web site he took to $100k in revenue per year in just five short years to the podcast he quit after one episode. This episode takes off the rose-colored glasses for a realistic view of how entrepreneurship actually looks. Tinian Crawford went to college - and took 6 years to complete his Associates Degree in Graphic Design. College just wasn’t for him - he didn’t enjoy it and didn’t get much out of it. He knew he needed a job, but wasn’t sure what he wanted to do for the rest of his life. A series of odd jobs led to a position at a sign shop. Connecting the dots, he saw that many of the signs needed electricity, and figured he’d be worth more if he was an electrician. After mentioning this to his wife, suddenly vocational brochures started to arrive in the mail. He chose the most expensive way to get his license, and parlayed it into a minimum wage job until he was a journeyman electrician. Tinian took some time to figure out his path, but is now on the way to Financial Independence, living the life he wants on the terms he chooses. If you think you’re too late for FI (Spoiler Alert: you’re not!) THIS is the episode that will change your mind and show you it IS possible, even if you’re not 20 years old. You’ve probably heard J Scott’s real estate story (spoiler alert—he’s killing it!). But he’s never really told his money story that led up to this massive real estate success. Today, we talk to J and discover that in his 20s, he knew nothing about money, investing, or real estate. He started off $35,000 in debt, with no plan and no goals. An investing discussion with friends led to the creation of a spreadsheet to display his financial position in terms he could not ignore. The spreadsheet spawned a goal of $0 debt, a second job as a bartender, and J paying off all his debt in two years. He discovered he liked owning assets. At the suggestion of his wife, they bought a house to flip and promptly made every single flipping mistake you can make. Hear how J turned mistakes into successes many times over—and how having a goal to work towards keeps him focused on moving forward. This fun episode also includes tips for managing your money while you save for your first investment, Josh’s inverted funnel analogy and Brandon’s Harry Potter references. Thinking about adding real estate investing into your portfolio? This episode will educate and inspire. An avid listener of Dave Ramsey, Zina quickly determined she did not want to ever be in debt. However, she graduated with $24,000 in student loan debt and made it her mission to pay that off as soon as she could. Every single extra dime she found, she threw at her debt until it was all gone. So once the debt is gone, Zina realized that she needed to ramp up her investing. Not one to just ‘show up and wing it,’ she set about learning how to invest properly. Zina’s story illustrates that you CAN pay off debt while making a lower salary, you CAN pursue financial independence while self-employed, and that your past does not define you. You’re on the path to financial independence—but you’re not sure what to do with your money. Index funds sound great, but your total financial situation doesn’t end with index funds. Today we sit down with Kyle Mast, a Certified Financial Planner. Kyle LOVES his job as a CFP, but there aren’t enough hours in the day for him to help every single person. He gives advice on how to find a GREAT CFP, shares exactly what a CFP is, how they get paid, and how they can help almost anyone make their money work even harder for them. This is an episode you’re going to have to listen to more than once, because the advice that Kyle gives will blow you away. This episode truly is for anyone who has money—and wants to have more. Today we chat with Joe Saul-Sehy from Stacking Benjamins. Joe shares his money story, which starts off with him figuring out how to get into debt, then discovering he didn’t like being there. He learned that you can’t diagnose what’s wrong with you until you have it all in front of you, so he laid everything out, and started a monthly money date with his wife to get everything sorted out and under control. Joe has three fantastic tips to help you stay on your chosen financial path. He also shares the four assumptions about the FIRE community that are wrong. This episode will help you take command of your finances and steer your life in the direction you truly want it to go. Jamila Souffrant grew up watching her mom struggle to provide for her. She decided early on that she wanted to be a millionaire, her solution to not having enough was to simply make a lot of money. She saved like crazy, but didn’t have a plan for it. A good student, she attended college and got into an internship program that places minority students with Fortune 500 companies and pays them well. During college, she saved 80-90% of her salary - but was still considered herself “bad with money,” buying luxury items she doesn’t remember. Internship led to employment, and Jamila changed her focus from IT to the real estate department. But her finances stayed the same. She contributed to her 401(k), but not even enough to get the full company match in her 20s. The switch flipped in her 30s, after an exceptionally bad commute home. She discovered FI through podcasts and blogs, and finally understood this could be her reality, too. Jamila and her husband kicked their savings into high gear and started investing. Jamila went from “bad with money” to saving $169,000 in two years! This episode shows it’s not too late to start your Financial Freedom journey, too. Phillip Taylor studied to be a CPA in college, just like his dad. He graduated with some debt and decided to add to it by buying a house. In order to afford his new house, he didn’t max out his 401k—he didn’t even contribute enough to get the full company match! By the time he got serious about paying down his debt, it totaled $95,000. PT decided to journal his experiences on a blog he called PTMoney.com. And something amazing happened. He found his tribe. PT soon discovered that there was a whole community of people with financial problems who were willing to talk about it online. PT wanted to meet these people in person, have live discussions about issues they were all facing, and share ideas. He started a conference that has blossomed into THE money conference to attend, FinCon. PT shares his story of going from a finance guy who made bad decisions to a guy who helps others make great decisions about their own finances. Kyle Renke graduated from college and hopped right on the American dream bandwagon. He started off with a starter house, added a couple of kids and moved onto a bigger, better house—one that he could barely afford. He then went back to grad school, tacking on another $40k in student loans. Kyle and his wife spent money left and right, never seeming to be able to get ahead. Finally, he got sick and tired of being sick and tired. Kyle read books and connected with friends in a better financial position. He sold the big house, threw everything at the student loans, and rented a smaller, MUCH less expensive place. Kyle’s story shows that you CAN make big financial mistakes, change your course, and work toward financial freedom—even with children. Jillian Johnsrud grew up lacking the privileges that many of us take for granted. Jillian Johnsrud grew up poor, with an abusive step father and a mother unable to leave due to lack of funds. She emancipated herself during her junior year of high school, living in a camper in high school, waiting tables after class. Still, she managed to save $8,000 by the time she graduated. She married young, and medical debt and student loan debt put her family in a tough starting position. From there, however, Jillian began building wealth. In adventures that span tons of different states and even a stint in Europe, Jillian was able to eliminate her debt and achieve financial freedom—all while never earning more than a median income. Graduating from college, Craig Curelop had amassed an impressive $25,000 savings account - AND $85,000 in student loan debt. Conventional advice is to pay off your student loans BEFORE investing. In this episode, we hear how Craig ignored this advice and started buying properties to House Hack in the hot Denver real estate market while making the minimum payment on his student loans. Fast forward a few years, and now Craig generates significant income through his primary residence and can concentrate on aggressively paying down his debt - all while living the life he chooses. Craig has found ways to optimize his life so he can move toward financial freedom. He also takes advantage of several “life hacks” that reduce his living expenses to almost nothing. Wondering how to get started? Craig’s story is a must-listen. On today's show we discuss the highest-probability way that a family can move toward financial independence—without stress and worry—while enjoying incremental freedoms along the way. We’ll also talk about all-cash real estate investing, where to park your money as you save up for a large real estate investment, and how families can find ways to cut back in spite of having expensive kids to care for. Andy Hill usually plays the role of interviewer, but today he's switched seats to share how he strengthens his family tree and lives financially free. Are you looking at financial freedom and wondering if it’s possible with a family? Then this is the episode for you! Stuart Grazier joined the military and immediately went into debt. A chance encounter with Dave Ramsey’s Financial Peace University showed him how to manage his finances, and he returned from his stint overseas with his more than $40,000 in debt paid off! His wife had roommates while he was overseas, and they continued to have roommates when he returned, House-Hacking to cover his mortgage so he could stockpile his cash. Attending a local real estate meetup introduced him to someone looking for private loans, and his stockpile of cash provided him the ability to create private loans — earning 12 percent interest on his money. Stuart discusses his successes and failures in real estate investing, his transition to rental properties, and what he’s planning after he separates from the military. Feeling stuck at your job and looking to fix your financial future? This is the episode you need to listen to. Today we sit down with Mr. and Mrs. Planting our Pennies, or Mr. and Mrs. PoP for short. Mr. PoP never wanted to be anchored to an inflexible job. Mrs. PoP never wanted to be financially insecure. A reward trip to Hawaii after a good sales year at his job led Mr. PoP to the internet where he found Early Retirement Extreme and Mr. Money Mustache. Mrs. PoP ran the numbers and discovered that their target number for a mini-retirement really wasn’t that hard to reach. A few more calculations showed her they could work slightly longer and quit working their traditional jobs forever. This episode truly showcases that anyone can achieve financial freedom. Small tweaks to your spending can yield huge rewards fairly quickly. Wondering if you can reach financial freedom? This episode will show you how. Continuing where we left off from last week’s episode, this show discusses increasing your income by recognizing existing opportunities and making your own opportunities through side hustles. Do you have your spending under control? This is the show that takes you to the next step in your journey—increasing your income to grow your wealth. We’ve interviewed more than 30 people for the BiggerPockets Money Podcast over the course of this year — and we’ve got a LOT more people to interview! We’ve heard from so many listeners: “I’d like to get started on the path toward financial freedom, but I don’t know where to begin." Today, Scott and Mindy share EXACTLY how you get started with tracking your spending, and how to make SIGNIFICANT cuts in your budget to move you down the path faster. Looking to become financially free? THIS is the episode you need. Nick and Alyssa were high school sweethearts, who went to college where their family attitudes toward money came to light. Nick’s “save up for it” mindset saw him graduate with around $50k in student loan debt, while Alyssa’s more spendthrift attitude towards the college lifestyle had her graduating with $80,000 in debt—and her graduate degree piled another $60,000 on top of that. They got married and quickly discovered their vastly different views on money. Through budgeting, communication, spreadsheets and more spreadsheets, they are now on the same page and working toward financial freedom. Their curveball pregnancy didn’t derail them—it strengthened their resolve to get to FI through real estate and traditional investments. Side hustle is a huge buzzword in the FI community. Make extra money on the side doing something fun, something you love, or even just something that pays really well. Today we bring in Nick Loper, Founder of Side Hustle Nation, to share his expertise about side hustling: What they are, who they’re for, and how to implement one of your own. Nick also shares some of his favorite side hustles, including some surprisingly easy ways to make money. Looking to increase your income? You MUST listen to this episode! Open up a credit card, earn miles, get a free plane trip or hotel room. Sounds great, right? But what if you could exponentially increase your travel rewards? Fly free every time. Never pay for a hotel room again. Lee Huffman travels the world in luxury with his family using travel rewards for less money than your economy vacation. He’s an expert in travel rewards, credit cards, and personal finance. Today, Lee shares how you can save on your next vacation using travel rewards - and how to squeeze every drop of value out of those rewards! Cody Berman: Remember that name because this kid is going places. Currently traveling in Australia, Cody began his journey into personal finance and intentional living as a child, when his dad taught him about compound interest and the power of saving and investing. By age 14, he'd already saved up $15k, and by the time he reached college, he was diving into entrepreneurship, side hustles, and financial independence plans. Today, Cody runs a company that manufactures disc golf discs and has afforded himself the freedom to travel with his girlfriend. With an ultimate strategy for complete financial independence in the works, he plans to reach a point where he is able to spend time as he wishes, pursuing his various interest and entrepreneurial pursuits. If you're looking to inspire yourself, your kids, or any ambitious young people you know to make the small changes that will dramatically affect the future, don't miss this episode. Erin’s parents taught her about money from a very early age. She paid for half of everything she wanted, which helped her figure out financial prioritization. When it came time for college, she decided against her dream college to avoid significant student loan debt by attending a college based on scholarship. Basically, Erin set herself up for a good financial future. But most people are not taught about money, and they do not make such sound financial choices. Today Erin talks about getting financially "naked" with your significant other. She shares advice for bringing up the subject of financials, being gentle with the discussion, and how to separate deal breakers from those financial issues that are just unfortunate. Becky and Noah are in the first half of their gap gear, a pre-FI road trip around America. They didn’t grow up rich, but they carefully planned out their life to avoid student debt. Both earned the same Chick Evans Caddie Scholarship to Purdue University that paid full tuition and came with housing. They made smart career choices earning employable, in-demand degrees that allowed them to earn high salaries. After discovering FI on Reddit, they made a few tweaks to their lifestyle, quit their jobs, and hit the open road. This episode shows that financial independence isn’t just a pipe dream, and while Becky and Noah aren’t there yet, they are well on their way. Student loan debt is a HUGE problem facing millions of people - and it continues to grow every year. Today we are joined by Travis Hornsby from Student Loan Planner who shares several options for paying back your student loans, including loan forgiveness. This episode is for anyone with student loan debt - or anyone with kids facing this choice. Travis also shares how you can still pursue Financial Independence while paying down your student loans. Chad Carson has never had a “real job.” Instead, he has parlayed his experience helping with his father’s rental business into his own real estate rental business. Now, Chad owns enough real estate that he’ll never have to work at a real job. In fact, when we spoke to Chad, he called us from Ecuador — where he’s been living for a year in order to submerse his children in the Spanish language. His rental business ran itself while he was away. He was able to take an extended vacation and truly delve into the area — and now his children are bilingual! Chad’s take on “mini” retirements is very interesting. He obviously loves what he does, but he also enjoys spending time with the people who matter most: his family. Real estate provides him the opportunity to work at his own pace. This episode gives you an alternate look at early retirement — it doesn’t have to be permanent. Early retirement is a goal many people have. Diligently saving for retirement age to fund your life after you stop working is great, but the same programs that help you avoid taxes while saving come back and hit you with taxes AND penalties if you access those funds early. But wait! The Mad Fientist made it his mission to figure out how to reduce his taxes—or eliminate them altogether AND avoid penalties. In this episode of the BiggerPockets Money Podcast, the Mad Fientist shares 3 ways to access your retirement funds before the typical age of 59½. He breaks these concepts down so they’re easy to understand and put into practice. This episode is a must-listen for anyone who’s thinking about retiring at any age. On this week’s episode of the Biggerpockets Money Podcast, we chat with Alan Donegan. Alan Donegan watched - and helped - his father run a super-successful sportswear company, until the economy shifted and they lost everything. Determined to not follow this path, Alan got a job. Then another and another and another. He couldn’t find anything he wanted to do - so he created his own job, teaching people how to create theirs. Taking lessons from his father’s experiences, Alan teaches entrepreneurs how to start really small and test the idea before jumping in with both feet. If you have an entrepreneurial itch, this is a can’t miss episode. As a kid, Joel Larsgaard watched his parents work jobs they didn’t like to pay for things they didn’t need. They missed out on some of the priceless moments that life has to offer, culminating in bankruptcy when Joel was 12. We discuss how that unfortunate event permanently altered Joel's view about money and shaped his entire future. This experience led him to pursue multiple passive income streams, so he never has to go through that again. Check the full show notes here. This is the last half of the epic interview with Brad and Jonathan from Choose FI. Continuing where we left off from last week, we finish up the Pillars of FI conversation, including beginner level topics you can be doing such as frugality and index fund investing but also touch on more advanced topics like tax optimization and travel hacking. If you have not yet listened to part one, you can find that here. This episode - along with last week’s part one - is a must-listen for anyone on the path to FI, or just getting started. On today’s epic show, we speak with Brad Barrett and Jonathan Mendonsa from Choose FI. Brad and Jonathan share their pillars of financial independence — the 10 things you need to do in order to achieve FI. We cover beginner-level topics such as frugality and index fund investing, but we also touch on more advanced topics like tax optimization and travel hacking. This episode went so long — and contained such fantastic information — that we simply could not squeeze it into a regular show. So we didn’t. We made it a two-part episode so we didn't miss a moment with Brad and Jonathan. Click here to check the full show notes. Tanja reached financial independence (FI) and retired from her full-time, high-stress job at age 38—despite not being a natural saver, having purchased two brand-new cars in the past, and not maxing out her 401(k) in the beginning—pretty much breaking every FI “rule” out there. Tanja was not focused on early retirement or financial independence when she met Mark, but quickly got on board. Her 60-hour-per-week job took up all her time and "brain space,” and more than 100 plane trips per year made it very easy to increase her savings rate to be able to achieve her goal. Hear how she reached financial independence and parlayed that into early retirement in today’s episode of The BiggerPockets Money Podcast. While David Greene is a long-time real estate investor, best-selling author, and one of the top real estate agents in California today, his career started in the most unlikely of places—as a busboy at a restaurant. Learning how hard work and hustle, combined with a willingness to identify and serve the needs of others, took him from busboy at a restaurant to a college graduate with $95,000 in investable liquidity. After becoming a police officer, David Greene began building a real estate portfolio on a median income in one of the most expensive markets in the country—the Bay Area in California. David’s approach of extraordinary frugality, discipline, adaptability, and competitiveness have launched a superstar career. If you want the same for yourself, be sure to listen to today’s show. What Is Money? Part 1. Joel and his wife were barreling down the wrong financial path - saving nothing and spending more than $100,000 every year. A freak car accident literally changed the direction of their lives by causing them to re-evaluate and decide on what was truly important in life. In five short years, they went from a negative savings rate to saving 85% of their income, allowing Joel to quit a job that was making him miserable. They did this by making regular changes to their spending, and cutting out the things that weren’t actually making them happy, alongside shedding poor “investments” they had previously accumulated, and sticking to a strategy of simple, long-term index fund investing. This episode is for anyone who earns an upper-median income, yet feels stuck and unable to get ahead. Joel will show you how to make the tough changes that will ultimately lead to more happiness, more freedom, and a stronger financial position. Click here for full show notes. In March, 2014, Liz and her husband made the conscious decision to stop their big city, big spending lifestyle, and adopt a frugal mindset in order to realize their new goal of moving out of the hustle and bustle and into the woods. Their 180 turn took them from dinners out every night to 66 acres in the woods of Vermont, where they happily raise their daughters and live the life they want - with no stress, no financial strains and ultimate financial freedom in just over two years, by May 2016. This is a must-listen episode for anyone curious about what it takes to make this lifestyle change. What would happen if someone had early financial independence in mind right out the gate, upon graduating college? Imagine the amount of money that person could stockpile... Today’s guest had exactly that in mind, and made the kind of decisions that will allow him to retire early (maybe even in his twenties!!!). Meet Drew, the “Guy on Fire.” At age 27, he has already accumulated four properties with seven units in the hot Washington DC housing market. He makes the numbers work, and work well, and is reaping the financial rewards of some sweat, self-education, and side-hustles so he can exit the workforce and live the life of his dreams. Tiffany Aliche grew up talking about money. Her dad was an accountant, her mother actively engaged the children in grocery shopping and other areas of finance. She was a teacher at a private school and had just bought her first house. Then she met a “friend” who convinced her to invest in his get-rich-quick scheme. Promised future returns led to foolish spending. The economic downturn led to a lost job, and in turn a lost home. Tiffany took the necessary steps to repair her finances, and then started teaching others how they could fix their finances, too. She’s turned her financial courses into a network of financial resources - including a 350,000+ member facebook group where you can ask and answer questions or get support during your journey. This show is for anyone who is sick of making bad financial choices, and wants to turn their life around. Mr. and Mrs. Waffles on Wednesday (WoW) were doing everything wrong. They ran up ridiculous tabs at a local restaurant/bar just ‘hanging out,’ while getting abysmal returns from their financial planner - and paying 1% for this terrible advice. Disatisfaction with 5% returns while the market saw 25% returns spurred a Google search, which landed them on a website that told them exactly how to invest in the stock market (hint: Index Funds). This site also introduced them to the concept of early retirement. Mr. WoW convinced Mrs. WoW to hop on the FI train with the lure of unlimited travel which led to a financial about-face and expense tracking, which led to the realization that they spent far too much money on things that didn’t matter. Hear how Mrs. WoW’s self employment gave their FI journey a jumpstart through tax hacks like write-offs and business expenses. Are you tired of hearing success stories from folks who are earning $60,000, $80,000, or even $100,000 or more paying off debt and moving toward financial freedom? Where’s the inspiration for the folks out there that do not earn above average incomes? Look no further than today’s guest for that inspiration. Sarah Wilson paid off $33,000 of student loan debt. Why is this a big deal? Because she did it while making less than $30,000 a year! Not even considered a “living wage” in most places, Sarah was able to save more than most people in general EVERY YEAR for several years while she ferociously annihilated her debt. If you want some serious motivation to get out of debt and start building your net worth regardless of salary then this is the show for you. Fair warning: This approach is not for the faint of heart. Mindy was born in a small town, and then she moved and moved and moved. In fact, moving doesn’t phase her at all, which plays right into the core component of her investment strategy -- The Live-In-Flip. Mindy moves every two years to take advantage of the IRS gift of paying zero capital gains taxes on the sale of her primary residence (up to certain limits). Mindy shares her wealth of experience with this process, both in a practical sense with DIY tips and tricks and smart financial analysis, and also shares the impacts that this process has on her family life. Listen to this episode for a different twist on hacking your housing and discover how a family can use the Live-In-Flip to round out a financial plan capable of bringing about early financial independence. Rosemarie Groner was a State Trooper - a good, recession-proof job. Chronic disorganization led to more than $30,000 in consumer debt when she made the decision to quit her job to stay home with her first child. In this episode of The BiggerPockets Money Podcast, Rosemarie shares how she cut $23,000 out of her spending, paid off her debt in less than 4 years, and grew her income to the point that her husband could also quit his day job. Rosemarie gives you actionable tips for establishing routines that will help get you organized so you can focus your energy on your budget - not your day to day tasks. As a mom of (then) two, Erin Chase found herself shopping for groceries without a plan, picking up things that sounded good, but no idea what she’d do with them once she got them home. They made their way into the refrigerator, then on to the trash after they rotted. She knew she had to significantly cut her grocery bill if she wanted to get ahead. In this episode of The BiggerPockets Money Podcast, Erin shares how she cut her grocery bill in half - while adding two more kids to the mix. She gives actionable tips for significantly reducing your grocery bill - without clipping coupons! On this first episode of the BiggerPockets Money Podcast, we speak with Mr. Money Mustache (AKA Pete) about what truly makes you a happy person. (Hint! It isn't money, and it isn't material possessions.) We'll talk about shifting your mindset to pursue financial freedom, how to live for free, tips for living a frugal life, and how to surround yourself with like-minded people. Since this is BiggerPockets, real estate comes up, too. Don't miss this inspiring episode with one of the founders of the Financial Independence movement!